Spintash 68 EP Oil :: Tashoil Company Pvt. Ltd.
Spintash 68 EP Oil is a premium quality reciprocating air compressor lubricant. It is based on a blend of specially selected base oils to provide a level of performance approaching that of synthetic oils. Spintash oils are suitable, not only for cylinder lubrication of high performance, portable and stationary reciprocating units, but also for rotary compressors. Spintash oils are recommended for air compressor lubrication with air discharge temperature upto 220°C. 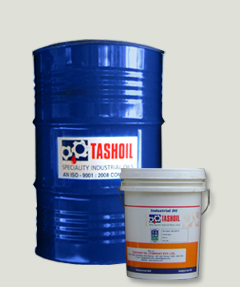 Provide effective protection against rust and corrosion during routine shut down.